« Take Photos with The Easter Bunny! On Saturday, March 10, 6-9pm, the Burlingamer Sports Center is generously donating the use of their excellent facility for an evening Dodge Ball Fundraiser. Enjoy an awesome evening of dodge ball tournament and open play at the finest futsal (indoor soccer) facility in the Bay Area while raising money for San Bruno’s K-8 Public Schools! Teams can have up to 10 players of any age. Individuals will be able to join open drop-in games. Step 1) $20/person donation requested. Click the green “Tickets” button in the upper right. 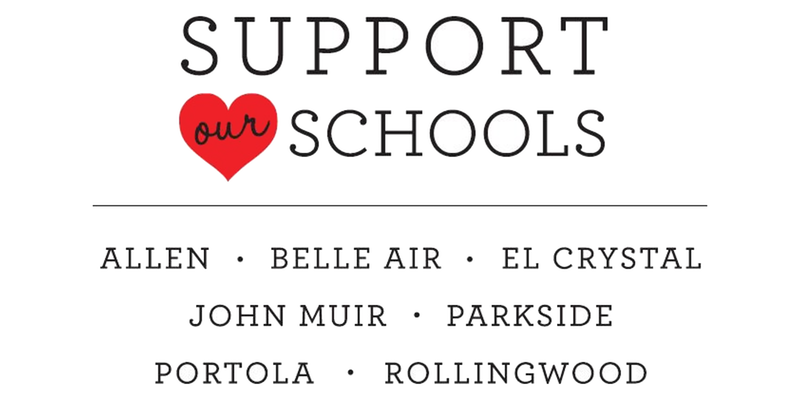 100% goes to support our schools! Step 3) If you’re planning to organize a team of 10 or fewer people of any age, enter your team name and team leader’s contact info here. You can collect your team’s players at any time before the event date. – SBPSD Teachers/Staff/Administration teams play for free! – You have a kids team, but can’t afford the $20/player donation? Ask us about a team discount, because we want all of San Bruno’s children to play! Front Desk (2-3 people): We need a couple people to help at the front desk who can handle taking the $20 donations at the door and checking the website for people who inform us they’ve already donated (or worked a discount deal with us). Dodge Ball Referees (5-6 people): We will have 4 courts with at least one referee on each court. The extra 5th and 6th person can either be 2nd referees on any court, but mostly the extra people allow the referees to take a break when needed. Open play games should be limited to around 15 minutes with players getting out until the next game starts. Referees should encourage players throw the ball fairly quickly (no hoarding the ball). If the game is moving slowly, referee should announce remaining time (i.e. “Five minutes left! Hurry up!”). Referees can increase or decrease game time at their discretion with the objective being to keep it moving (fun and exciting) and reduce wait time for people in line for the next game. Headshots against kids don’t count (kid stays in if hit by ball in the head). Game Wardens for Open Play Courts (2-3 people): For the 2 “open play” courts, these people maintain an orderly line where people who want to play get in the back of the line, and when a new game starts the Game Wardens will alternate which side new players will play on such that the teams are generally even. Game Wardens for Tournament Play Courts (2-3 people): The other 2 courts will be for groups that have organized themselves into a team of 10 people or less. Here the Game Wardens will track each team’s wins and losses, and evenly alternate which team plays next, and help to announce which team is scheduled to play next. Vendor Volunteers (2-4 people): Will setup a table to sell non-alcoholic drinks and snacks and 50/50 raffle tickets. Clean Up: At the end of the event, ensure all trash is picked up and the venue is tidy.